Wed., Nov. 21, 2018, 5 p.m. Cost: $20-$30. Tickets available through www.bingcrosbytheater.com. When Betty Cantor-Jackson says she wants to record your band, you don’t say no. Cantor-Jackson, legendary Grateful Dead archivist and sound engineer, recorded hundreds of Grateful Dead and Jerry Garcia Band shows, but stopped after Garcia’s death. But after hearing Chris Robinson Brotherhood perform at the 70th birthday party for entertainer/activist Wavy Gravy, Cantor-Jackson rediscovered her love of recording. Singer/guitarist Robinson, who previously fronted the Black Crowes, was flattered by the attention. So at the next opportunity, Cantor-Jackson joined the band and recorded a series of shows. It was Cantor-Jackson’s idea to record Chris Robinson Brotherhood, but it was Robinson who thought about releasing those recordings as a live series. In 2013, “Betty’s Blends Volume 1” was released. “Volume 2” followed in 2015, and two years later, “Betty’s Blends, Vol. 3: Self-Rising, Southern Blends” was released. The fourth in the series, “Betty’s Midwestern Magick Blends,” which was recorded in Milwaukee, Madison and Chicago, was released on Nov. 16. Four “Betty’s Blends” in, Cantor-Jackson is thrilled to be back at the soundboard. The band recorded the album in Stinson Beach, California, in less than two weeks. The time crunch not necessarily because of necessity, but because of experience. Upon entering the studio, Robinson had a few criteria, the first being no acoustic instruments. The band’s past few records featured a lot of acoustic guitars, mandolins and banjos, so Robinson wanted “Servants of the Sun” to be fully electric. He also wanted the songs on this record to be a bit more uptempo. To help with that goal, the band recorded in the summer instead of the “raining and cold and foggy” northern California winter. Robinson also wanted to be able to play every track on “Servants of the Sun” live, contrasting the band’s experience on previous records where some songs weren’t made for live shows. “This record I was like ‘I need every track to be something we would be able to go put into the repertoire,’ ” Robinson said. Robinson is the first to admit that albums have decreased in popularity, at least commercially, in recent years, but the band enjoys its time in the studio. 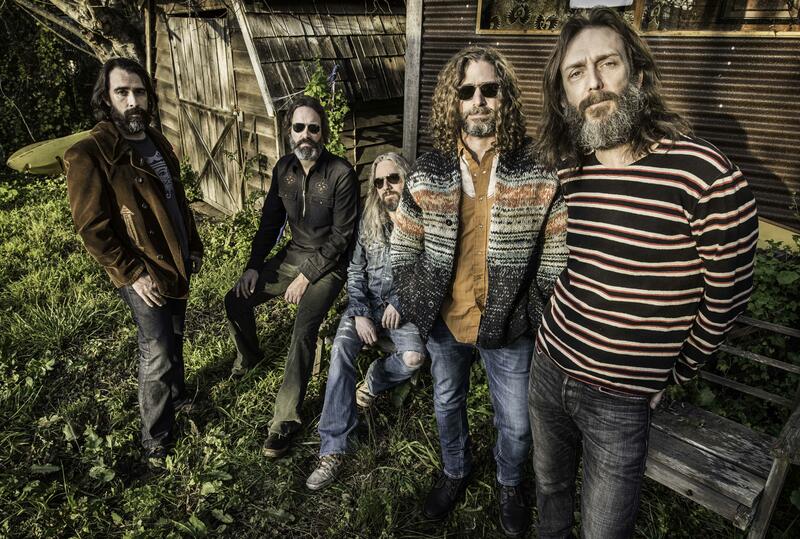 Plus, with so much experience between them, the members of Chris Robinson Brotherhood have learned to be efficient so as to maximize their time recording. Published: Nov. 21, 2018, 5 p.m.